Several fatalities, many injured - shooter in custody. Things are still rather fluid at the airport. TSA Reports there is still an Active Shooter situation at the airport. There is an active search in progress. What threw me was reports saying the shooter was wearing a Star Wars t-shirt. I just realized my buddy and his wife are at the airport, back from a vacation. They are safe and got a hotel but wow... never had an incident like this hit that close to home. It's looking like it might be another military PTSD issue. I fly there tomorrow (Terminal 1) and many of my colleagues flew there today. One of them walked out the door not 5 minutes before this happened. I'm not sure about others. Security footage of Esteban Santiago pulling out gun and shooting. Security footage of Esteban Santiago Aashiq Hammad pulling out gun and shooting. San Antonio Rolling Oaks Mall. One in custody, one on the loose. One shooter shot by citizen with concealed carry permit. Second subject taken into custody in Converse, TX. Possibly a third in the works based on a similar & recent 3-man robbery. I got alerted via my Scanner app on my android phone. Four people shot in an apparent murder-suicide... Included two students and a teacher. I rarely go to this mall, and when I do it's for events and not to shop. They have a blanket 'no gun' policy for the entire property, including the parking lots. They have posted signs saying that to firearms are permitted on any part of the property. Three people shot and killed suspect arrested. Suspect is Kori Ali Muhammad. Shouts 'Allahu Akbar' when arrested. Fresno triple-homicide / what is Moorish Science Temple? Dallas paramedic shot; assailant firing at police. There is a growing, and yet unaddressed gender gap among spree killers. How do we enable and empower woman to begin committing atrocities that have traditionally been the exclusive domain of the patriarchy? Redstone Arsenal Tweets of a possible active shooter. No reports of casualties at this time. They got a season for man hunting? The state Capitol in Olympia, Washington, is on lockdown Wednesday, and people are being advised to remain indoors, an official with the office of Gov. Jay Inslee stated. "All of our buildings are on lockdown due to reports of an active shooter two blocks away from our office," the press office official said. 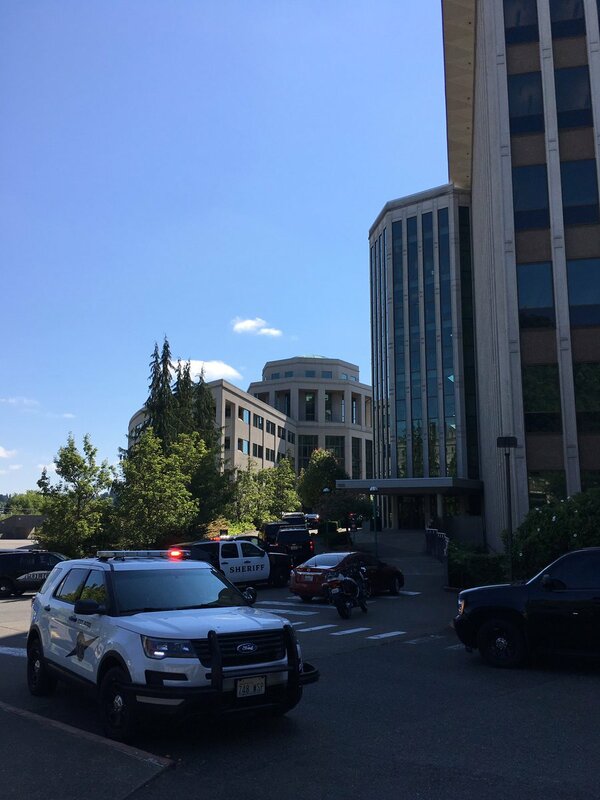 The Washington State Patrol tweeted that police activity at the Natural Resources and Office Building 2 of the Capitol campus led to the lockdown. Active shooter in Charleston SC. It's now being reported as a disgruntled employee with hostages. Stand-off is over with the gunman shot and seriously wounded. Police need more target practice.